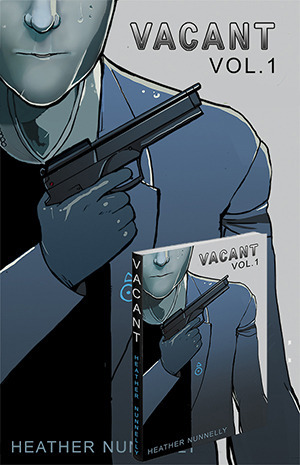 I was going to wait until issue 6 was done and the graphic novel was out and printed to do this, but VACANT is going on a long hiatus. This time it won’t just be for a month. It will be for 2-3 months. Even though most of Issue 6 is already done, I am delaying the printing until November-December, which I now is a big jump from September, which is what I promised. The reason on why is that I had an exhausting summer and desperately need a break. Right now drawing VACANT is painful, and I don’t want that. I’d rather everyone receive an inspired, good quality comic, then a stress, rushed one. So the delay will be worth it. Especially since Issue 6 is a very good issue with entertaining visuals. I’d hate to draw some of my favorite scenes tiredly. Because of this there will probably be an additional prize for the Kickstarter backers. Even though all of my readers are extremely kind and supportive, I apologize. I understand that this sort of thing is frustrating. I, of course, will still be posting art. Also, I am working on something else VACANT related which will be very exciting. I will talk about it later down the road when more of it is done. So stay tuned for guilty pleasure art.